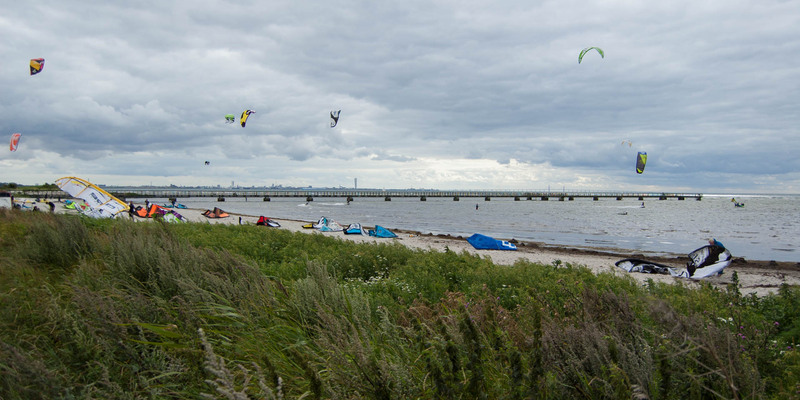 This beach called Badplatsen Habo Ljungs Camping is located directly at the campsite near the nature reserve Habo Ljung, around 3 kilometers north from the town center of Lomma. 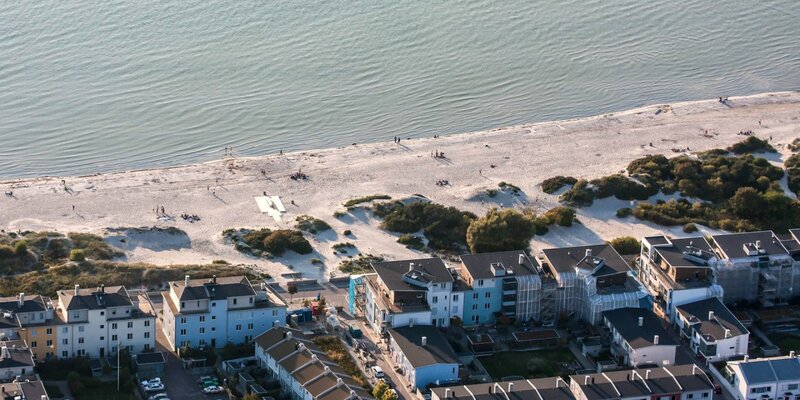 The approximately 250-meter-long, sandy beach near Habo Ljung can only be reached by passing the grounds of the campsite, but is always accessible to the public. The shore with its fine sandy soil is very shallow and falls off very slowly. Even at the end of the almost 300 meter long bathing pier, the water is only about waist high and for this reason also very popular among kitesurfers. 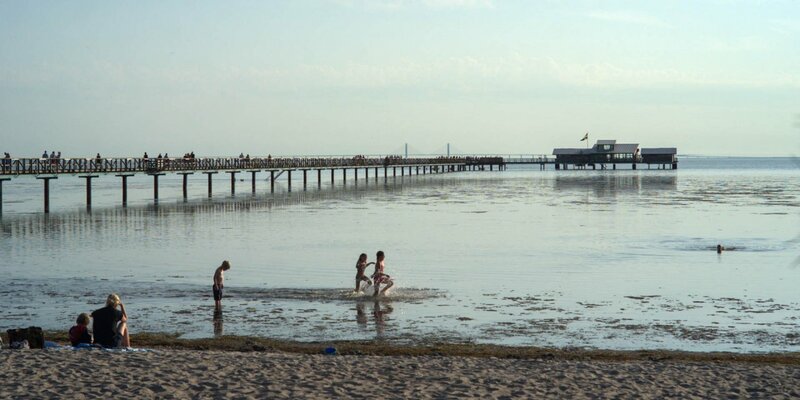 From the pier, you can enjoy a good view of Malmö and its district Västra Hamnen with the Turning Torso. 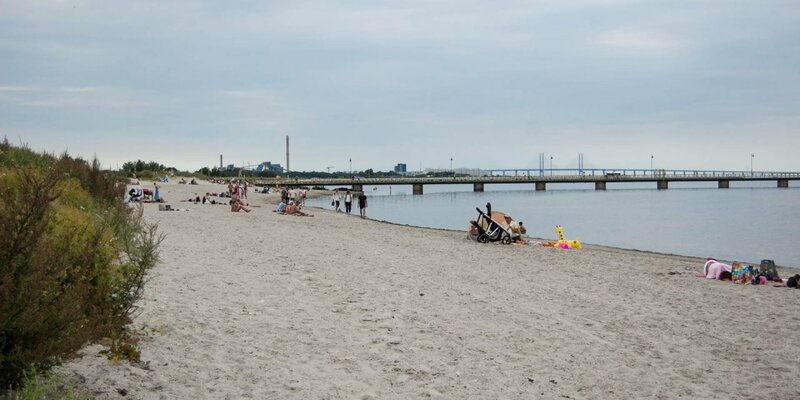 On a clear day you can even see the Öresundbridge. In addition to the almost obligatory toilets and barbecue areas, there is a kiosk with a small café and a mini golf course. At the entrance to the campsite is a large, but chargeable parking lot.